Violence erupted on Everest over the weekend as three well-known climbers were attacked by a gang of up to 100 Sherpas at Camp 2 following an altercation on the Lhotse Face. The assault was the worst possible way to celebrate the 60th anniversary of the first ascents – and reveals tensions about who controls the mountain, as Ed Douglas reports. 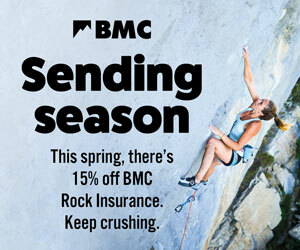 The three climbers involved in the assault are among the world’s leading alpinists, Switzerland’s Ueli Steck, the Italian Simone Moro and the Chamonix-based photographer Jon Griffith. Steck and Moro were attempting the mountain without bottled oxygen, possibly by a new route depending on conditions this season. According to Simone Moro’s blog, at about 8am on Saturday, Steck, Moro and Griffith left Camp 2 to reach a tent at about 7,200m on the Lhotse Face as part of their acclimatisation programme. A team of high-altitude Sherpas were fixing ropes on the face and the climbers were asked not to touch them. The three men consequently climbed a line 50m to one side to avoid disturbing the Sherpa team. When they reached a point roughly level with their tent, they began to traverse across to it, and it was at this point that the trouble began. The three Western climbers chose to cross the fixed lines at a belay stance where four Sherpas were tied into anchors, watching a fifth Sherpa fixing lines above them. Griffith, soloing like Moro and Steck, was the first to cross, but as Steck followed the lead climber looked down and began shouting at him. He then abseiled down to where Steck waited. Steck tried to calm the situation by offering to fix rope for the Sherpas but this made things worse. When Moro arrived, the lead Sherpa threatened him with his ice axe. Moro responded by swearing at him. The lead Sherpa then ordered the rest of his team, 17 Sherpas in all, back to Camp2, cutting short their work. When the three Western climbers returned to Camp 2, after fixing rope as a peace offering to defuse the situation, they were, Moro claims, set on by a large gang of up to 100 Sherpas. The climbers left quickly with only the bare essentials and made a circuitous route back to base camp through heavily crevassed terrain to avoid further encounters. They suffered minor injuries, with Steck receiving a bad cut to the face. Despite a meeting on Monday to reconcile differences, the three climbers subsequently left the mountain. The Sherpas claim that one of their number was struck by ice knocked down by the three men, but there is no evidence available confirming this story and Moro denies it happened. Earlier this month, Mingmar Sherpa, one of the so-called Icefall Doctors who place and maintain the fixed ropes, died after falling into a crevasse between Camp 1 and Camp 2. This followed the death in January of the longstanding leader of the ice-fall doctors, Ang Nima, at his home in Pangboche, aged 59. The climbing community owes much to the Sherpas who bravely lead Western climbers on their attempts of the Mt. Your article clearly states that the Sherpas asked the climbers not to touch the ropes and climb, yet these arrogant climbers ignored the Sherpas and continued on their way (it doesn't matter how "famous" of a climber you are, you always follow the guidelines of the Sherpas- its their Mt, they know it best). I am extremely dissatisfied with your writing of this article and the manner in which you refer to these Sherpas, almost as accusing them of not only being unprofessional on the Mt, but your language almost accuses their action of being uncivilized. The language of this article makes the Sherpas out to be the "bad guys" in the situation, and overly glorifies our Western climbers. Ed Douglas, please be careful of the disrespectful nature of an article such as this. Many people owe their lives to the Sherpas who are the ones who actually make the route for these climbers so Western climbers can attain their "glory." banana, There is a really serious issue as long as you have several dozens of individuals having to deal with physical corrections against 3 alpinists & other in between [?] climbing the big mountain within pure alpine style.